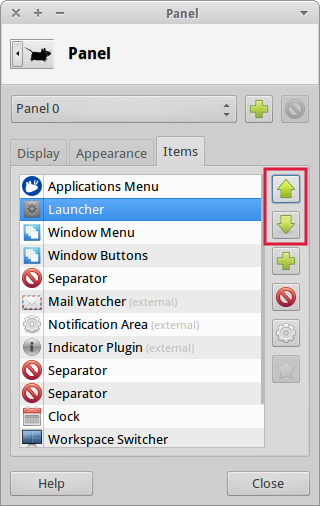 A application launcher is a little icon on Xfce's panel that launches an application when it's clicked. 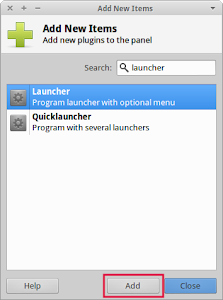 Lets see one way to add a launcher to the panel. On the Items tab click the Add new item button. 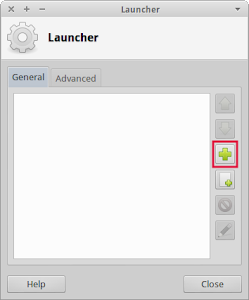 Select Launcher, click Add then Close. The launcher will be added to the bottom of the items list. 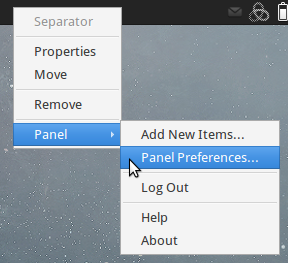 Select it and click the Edit Item button. Click the Add item to Launcher button. 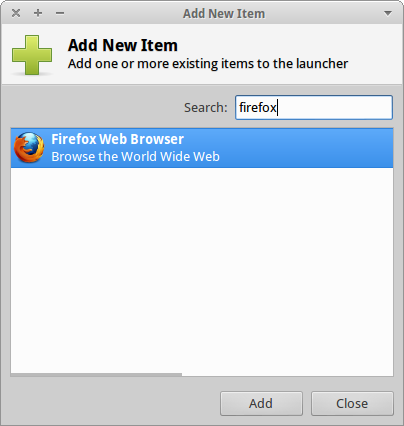 Select the application and click Add. 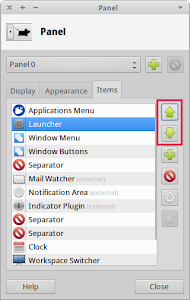 When you return to the panel's list of items you can move the launcher up and down, thus moving it left or right on the panel. It looks a little bit complicated. 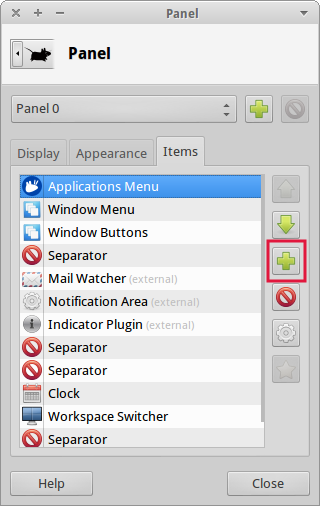 To add an application to a panel, I simply lauch the Applications Finder windows (alt+F2) and drag and drop to the panel the applications I want. (you will see a little red line before releasing the mouse button). 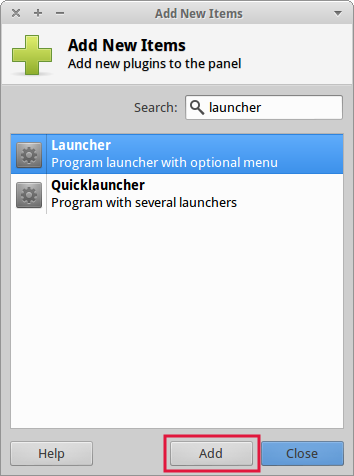 As I said: it's one of the ways of creating a launcher. Thanks for telling us yours. I'm glad you liked this blog and Xubuntu as well. Hello, Wilson. A month without a new post in this blog. I hope you'll fine! 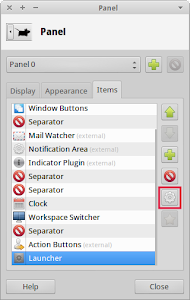 I'm very happy because I leart how to use Ubuntu One in Xubuntu because of your help. Now, I'm asking for something else. I discovered a great software: RedNotebook. Unfortunately, it doesn't bring synchronisation between two computers. 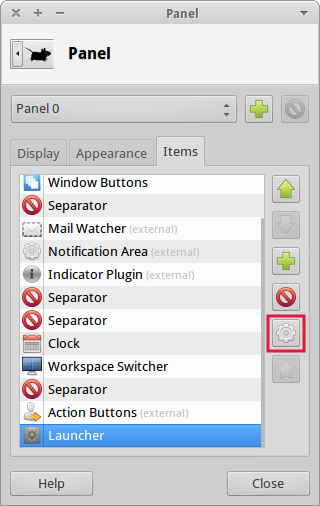 I don't know where I read that it could be possible to sync using Ubuntu One, but any tutorial of how to do it. Do you know if is it possible? If so, could you do a tutorial for this? RedNotebook uses ~/.rednotebook/data as its default notes location. 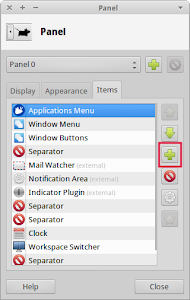 To synchronize notes add this directory to Ubuntu One. I'll write a more comprehensive explanation as availability arises. As always, thanks for your answer. I'll be waiting for that explanation.